Desperate PHP developer… that’s what I am today… why ? Due to an ugly PHP bug with PHP provided with FC6 (maybe on other distributions too). 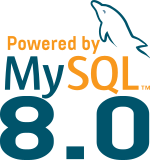 I already spent some time to find that it was a bug, previously I was using sqlite with the sqlite PHP functions, but since I use the FC6, to have the support of sqlite, PDO must be used… so I did ! But the records retrieved were always corrupted, the last character was always truncated ! So, I decided to install extra rpm’s from Remi’s repository to upgrade my PHP to 5.2.0, and tadam it works !